Inspiration : Gregory was inspired by Lily’s statement-making, black Valentino gown to create a soft and graceful updo that compliments the ruffled neckline and low back. 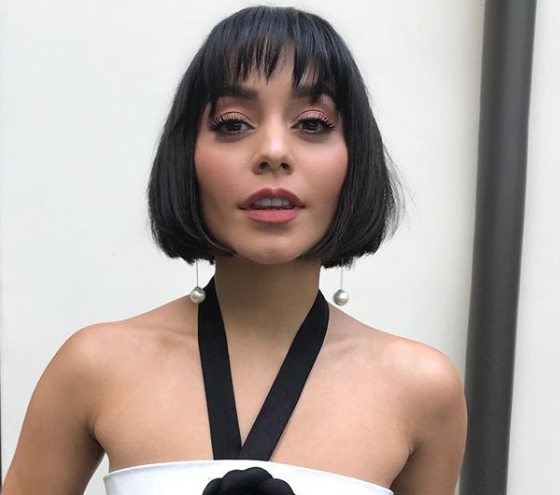 Last night, Vanessa Hudgens’ hair made a classic and trendy statement with a fringe bob - a hairstyle that’s already a top hair trend for 2018. 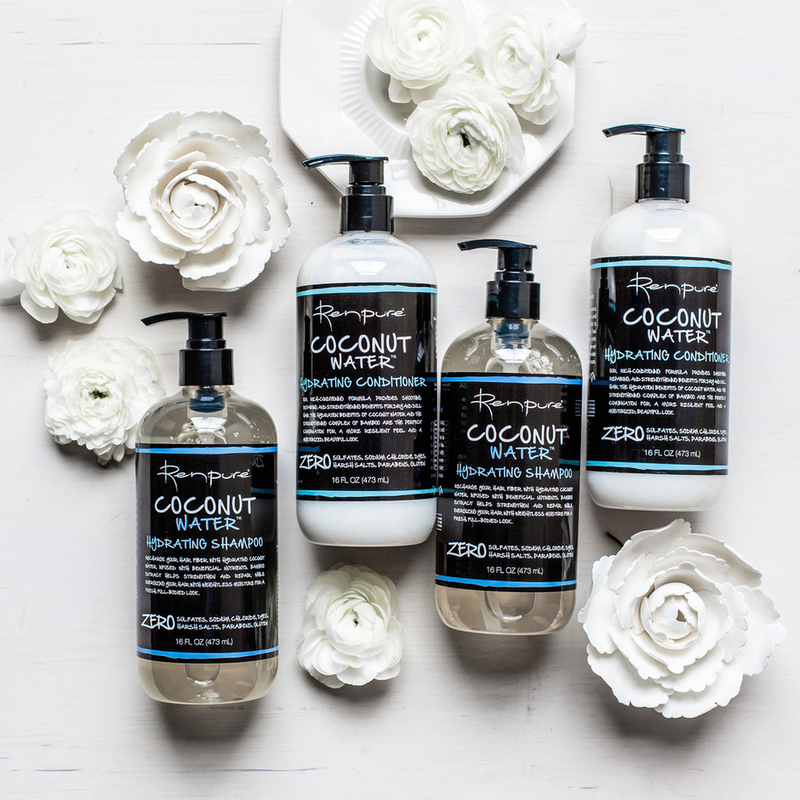 Summer is here, which is synonymous with sea salt sprays and beach waves. I am a huge fan of sea salt sprays, but some brands of sea salt sprays can leave my hair – sticky, dry, and matted. 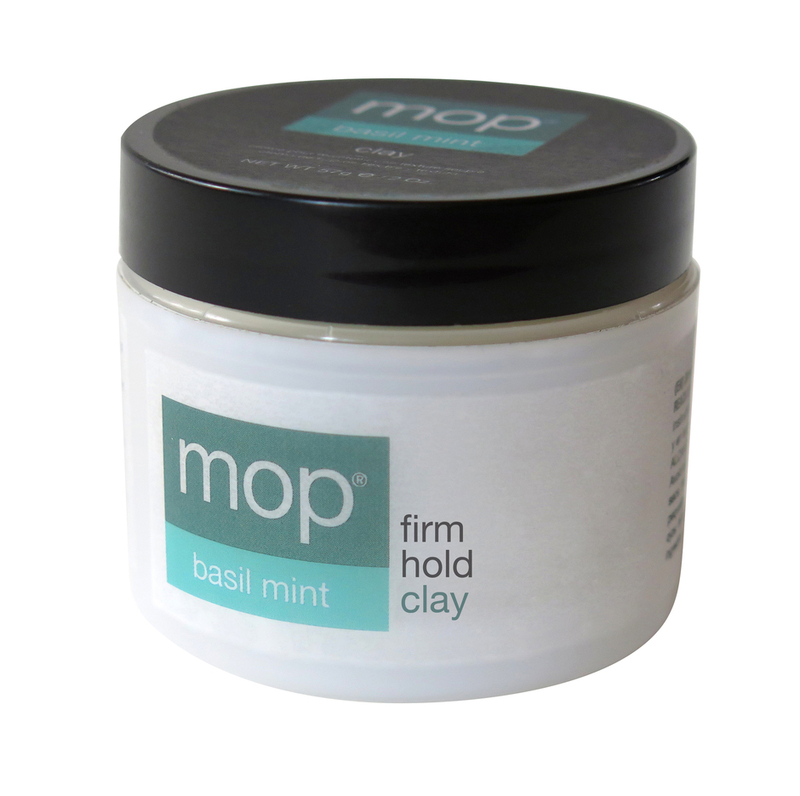 Thankfully, I have discovered that MOP has the perfect alternative, the brand-new Basil Mint Clay (it smells amazing). It’s a professional grade styling tool that helps to add texture without the gummy feeling some sea salt sprays can leave behind. The new styling clay leaves a matte finish and is perfect for creating piece-y #WokeUpLikeThis or #PerfectlyImperfect undone hairstyles. 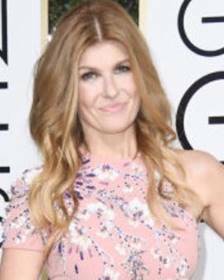  Infusium's Golden Globes Looks - Julia Louis-Dreyfus & Connie Britton!  Cold Air? 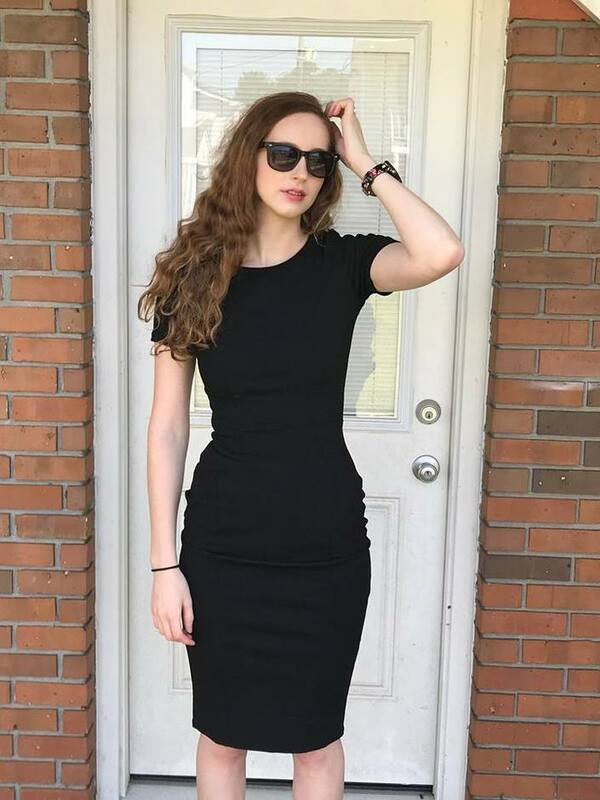 Perfect Hair! 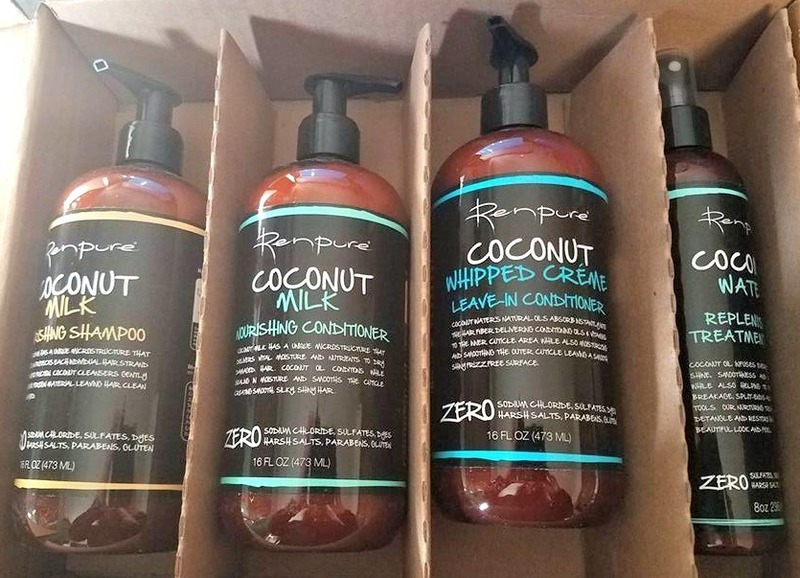 Restore Health and Luster to your Locks with Renpure! 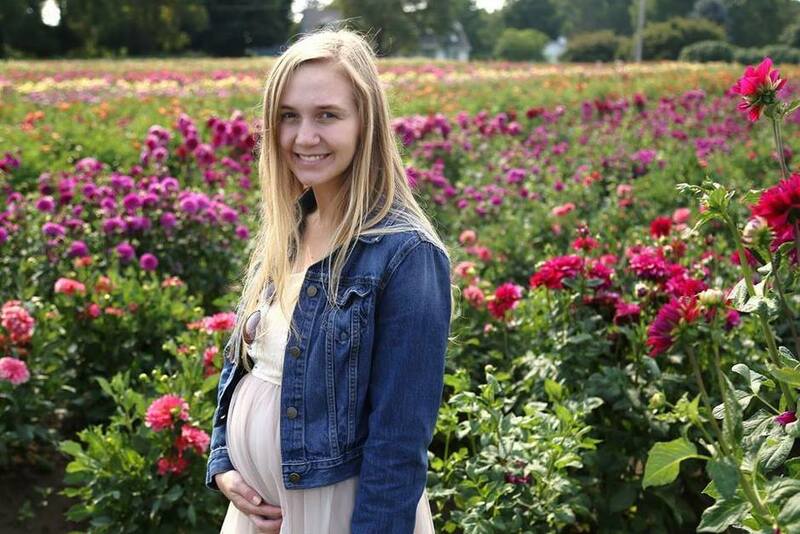 Looking for the perfect hairstyle for the fall and upcoming holidays? Ever wonder how to achieve super straight hair flawless that has just the right amount of volume? With these best-selling tools from Gold ‘N Hot you can easily, and surprisingly, create this perfectly polished do yourself! Gold ‘N Hot Professional 1875 Watt Ionic Ultra-Lightweight Dryer with Tourmaline ($39.99, Folica.com): This ultra-light dryer outputs tens-of-thousands of negative ions to dry hair faster with less damage resulting in healthy, shiny, beautiful hair. Tourmaline conditioning emits negative ions heat to reduce static frizz and seal in moisture. With 2 Speeds and 6 heat settings, you can achieve any hair style. Gold ‘N Hot 1” Ceramic Crimping Iron ($36.00, SallyBeauty.com): Who would’ve thought crimpers were still cool? It’s hairstylist’s best kept secret to achieve volume. Separate the hair and use the crimper on the under pieces. Hold at root and see an instant lift. 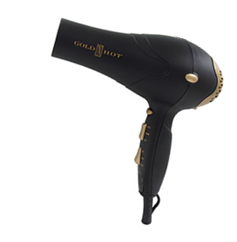 Gold ‘N Hot’s easy to use crimping iron has ceramic plates with seal-in conditioning that leaves you with silky-soft hair. With a quick 60 second heat-up, you’re almost ready to rock. Gold ‘N Hot 1″ Professional Ceramic Straightening Iron ($39.99, SallyBeauty.com) : This iron’s ceramic floating plates are made to eliminate gaps between plates and create the ultimate polished look. 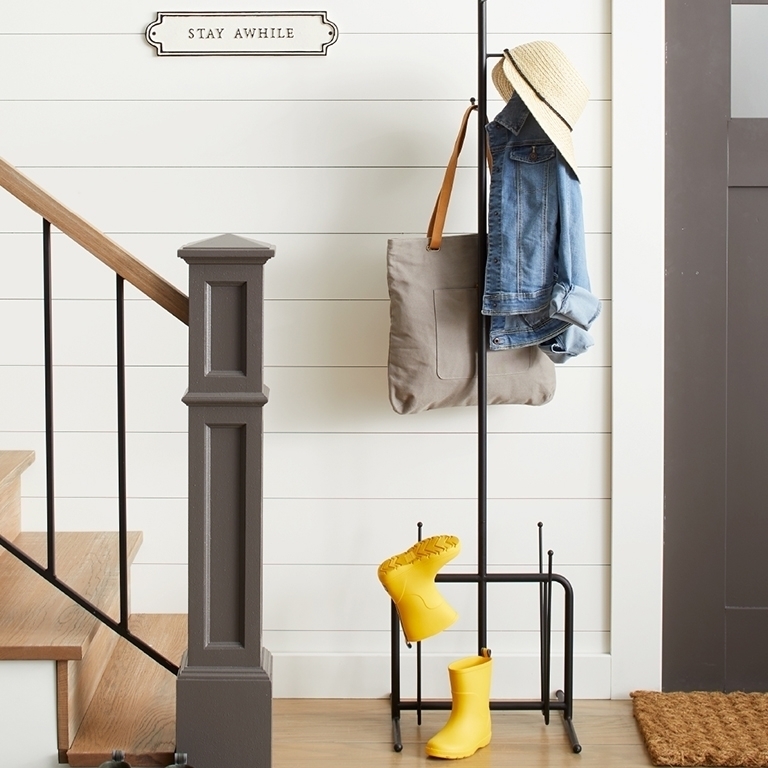 With a quick 60-second heat-up and easy access controls, your styling time is cut down. Ceramic plates distribute heat evenly for fast styling and seal in moisture leaving your hair shiny, silky-soft, frizz-free.  Is Your Hair Ready for Spring Break? Last night, the most elegant looks came out on the red carpet for the Oscars! The superstars looked fabulous with luxurious lashes and captivating ‘dos to smoky shadow. 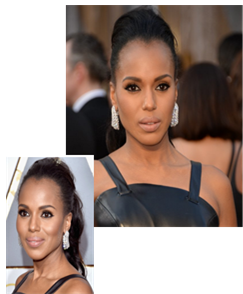 Kerry Washington and Rooney Mara modeled their glamorous Oscars’ looks with natural and rule breaking beauty! You can recreate these head turning makeup looks with the below tips! 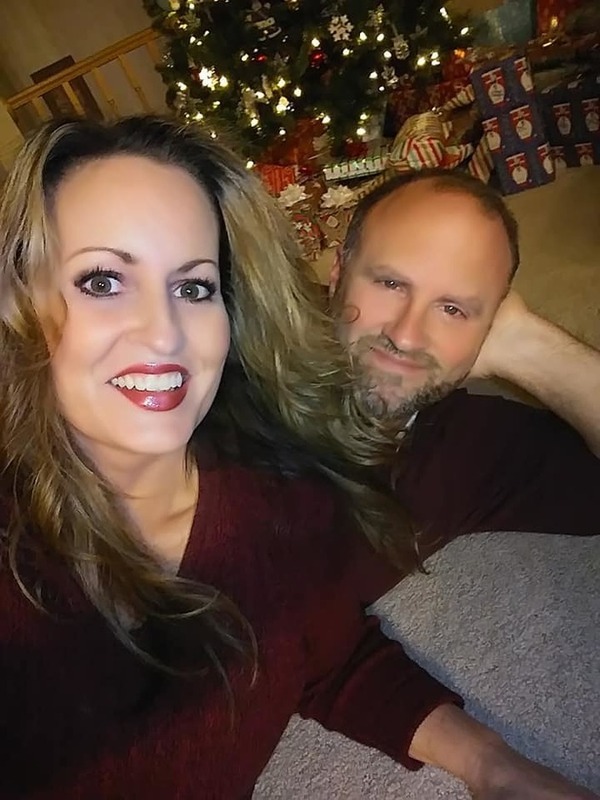 Both of the looks can be recreated using Younique’s top-selling product Moodstruck 3D Fiber Lashes+ , which sells at least one unit every 10 seconds* and increases lash volume by up to 400 percent. Skin: Naturally highlight glowing skin by using Younique Refreshed Rose Water , SRP: $29, to add hydration and subtract redness and oil! Makeup: Get Kerry’s smoky eye by using various shades of brown shimmer eyeshadows. Use black eyeliner on the inner rim of the eye and on the eyelid to fully outline the eye for drama! Take lashes to the next level by applying two coats of Younique Moodstruck 3D Fiber Lashes+ , SRP: $29. First, apply an even coat of the Transplanting Gel to the lashes. Immediately apply a layer of Fibers over the Transplanting Gel. Seal the fibers by applying one more coat of the Transplanting Gel. Finishing the look: Keep lips natural by adding a clear gloss (try Younique Lucrative Lip Gloss in Loyal , SRP: $15) for shine! Hair: Create a tousled ponytail by adding volume straight from the root. Take loose wisps in the front of head and spray with hairspray first. Sweep hair back loosely on the front and tight on the sides to add interest from the front. For maximum hold, apply extra hairspray to hair (try Thicker Fuller Hair Weightless Volumizing Hairspray SRP: $4.99)! Skin: Rooney’s look is beautifully futuristic. Apply a face and eye primer for glowing skin that will stay porcelain-perfect all day long! Makeup: Use a nice neutral eyeshadow palette to create warm, smoky brown lids (Try Younique Moodstruck Addiction Shadow Palette 1 , SRP: $49). Amp up lashes by applying a few coats of Younique Moodstruck 3D Fiber Lashes+ , SRP: $29. Create striking brows by using a precision brow liner pencil Younique Moodstruck Precision Brow Liner , SRP: $19. Then, to create the appearance of thick brows, brush on Younique Moodstruck Precision Brow Gel , SRP: $19 which contains buildable fibers, similar to the Younique Moodstruck 3D Fiber Lashes+. Apply a soft blush on the cheekbones to obtain a windy winter glow. (Try Younique Moodstruck Minerals Pressed Blusher in Sweet , SRP: $29). Finishing the look: For the eye-catching two toned lips, first line lips with a deep red shade then apply a crimson red lipstick to both lips. 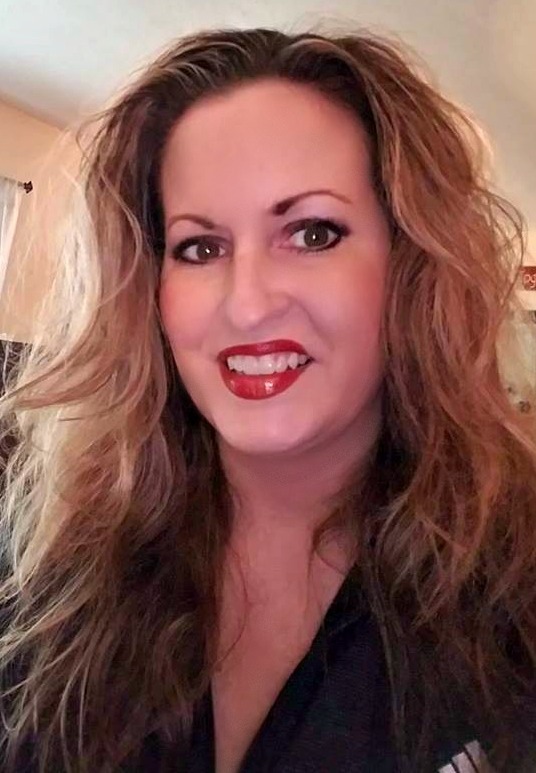 (Try Younique Moodstruck Precision Pencil Lip Liner in Primal , SRP: $15 and Younique Moodstruck Opulence Lipstick in Stinkin’ Rich , SRP: $19). 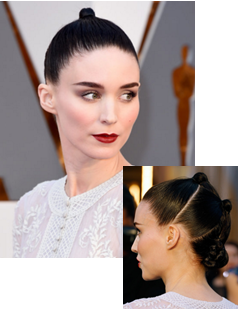 Hair: For this slick, triple bun style, start by using a comb to divide hair into a series of severe parts. Use an elastic band to tie the top hair into a ponytail and proceed to include the hair into the next layers ponytail. For the third and last part, twist hair around finger until it coils up. Use bobby pins to secure hair in a low knotted bun. For extra hold and shine, use a lightweight gel to keep hair in place night (Try La Bella Max Hold Styling Gel , SRP: $2.59). Disclaimer: I received products samples in exchange for this post, however, any opinions are my own.